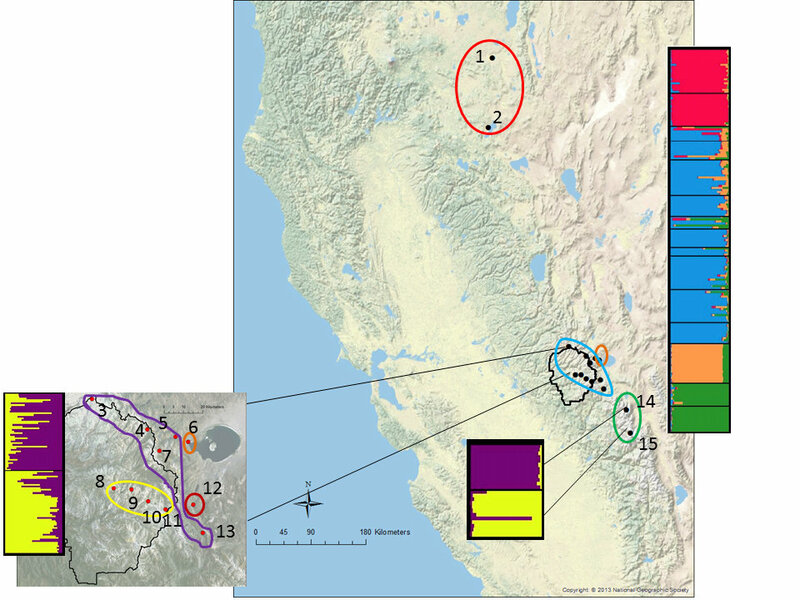 Phase 1 (2011): This project used species distribution modeling, population genetics, and geospatial analysis of historical vs. modern vertebrate populations to identify climate change refugia and population connectivity across the Sierra Nevada. It is hypothesized that climate change refugia will increase persistence and stability of populations and, as a result, maintain higher genetic diversity. This work helps managers assess the need to include connectivity and refugia in climate change adaptation strategies. 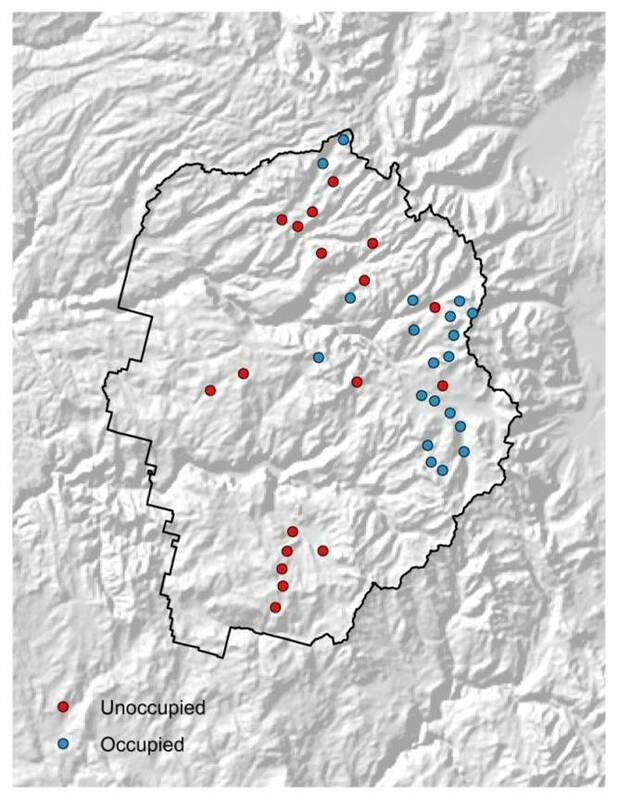 Results help Sierra Nevada land managers allocate limited resources, aid future scenario assessment at landscape scales, and develop a performance measure for assessing resilience. Science Delivery Phase (2013): Focus was directed to outreach to natural resource managers and decision makers. Outreach activities included: a 3-day regional workshop on climate change refugia, targeted agency meetings with NPS, USFS, CDFW, USFWS, and USGS, a webinar to communicate project and workshop results, and an enhanced website highlighting the work that particular agencies are doing to incorporate climate refugia and connectivity into their on the ground decisions. See also this Estuary News Insert featuring an article on this project, and a Climate Commons article about the project called Connectivity and Refugia in the Sierra Nevada.